The visual below indicates how Targeted Intervention Strategies are included in the Transition from Jail to Community model. They comprise one of five key system elements that must be in place for the TJC model to work. Welcome to Targeted Intervention Strategies. This module provides an overview of targeted intervention strategies that are designed to improve the outcomes of people transitioning from jail to the community. This module also will explain how to use the Triage Matrix Implementation Tool to match offenders to the appropriate intervention and how to use the risk-need-responsivity model to increase the likelihood of success for those transitioning from jail to the community. "Reentry of citizens to our communities is an issue that can and should be addressed beginning within our facilities, from admission all the way through release and assimilation back into our communities. What better time could there be to begin to identify and address inmates' risks and needs than while they are within our care and custody? 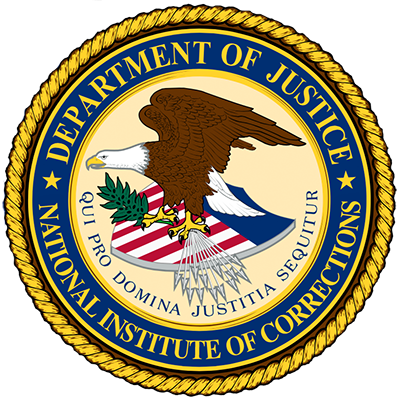 It is imperative that all of our treatment strategies, both in custody and post release, target and address individual needs consistently to utilize our resources wisely and insure the best possible long-term public safety outcomes." This module has three sections and should take 10 to 15 minutes to complete. This module also includes resource lists for additional reading. Improving transition at the individual level involves the introduction of specific interventions targeted by need at critical points along the jail-to-community continuum. The underlying premise, based on research, is that interventions addressing high-risk needs at these key points can facilitate reintegration and reduce reoffending, thereby increasing long-term public safety. 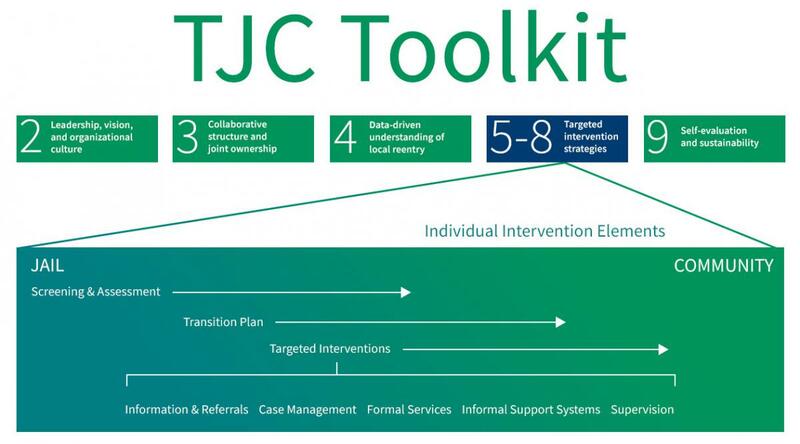 Identify the key transition intervention strategies of the TJC's Implementation Roadmap. Download Module 5 in PDF format.